How Far is Sandstone Apartments? 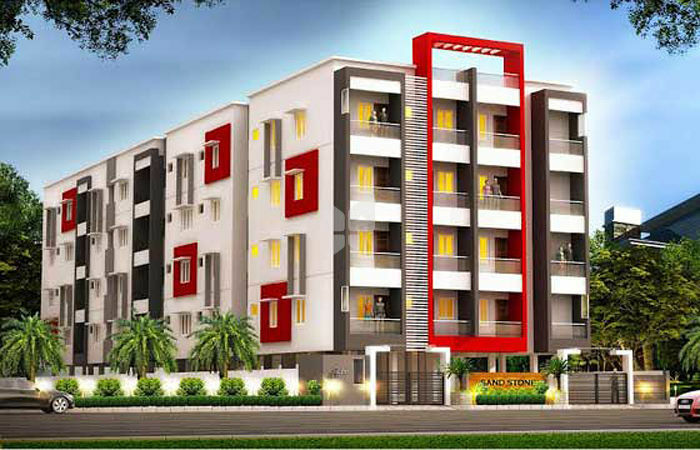 Igloo Constructions Sandstone is a housing community located in TVS Nagar, Coimbatore. The community has 2 and 3 BHK flats on sale which are under construction and available through the developer. Stilt+4 Floors – Seismic Zone III Compliant RCC Structure. Brick Masonry Walls. Vitrified 2 x2 Tiles for Flooring. Anti-Skid Tiles for Bathrooms & Balcony. Granite Top for Kitchen with SS Sink. Teak Wood Frame with Teak Panels for Main Door. Country Wood Frame with Flush Door for Inner Doors. UPVC Windows with MS Grill. Interior Walls are Putty Finished with Emulsion Paint. Exterior Walls are Painted with Emulsion. CP Brass Wall Mixer & Taps for Bathrooms. TV/Telephone/Intercom Provisions for all Houses. Two Staircases & Automatic Elevators with Safety Controls. 3 Phase Power Supply with Wiring as per ISI Standard. Genset Power Backup for Lift & Common Area. Provision for UPS. Fully Covered Car Park. Rain Water Harvesting. Landscaped Garden. CCTV Camera. Chauffer's Rest Room. East & North Facing Flats only. Flats Layout Planned for Privacy. Rooms planned for Ease of Living, Ample Lighting & Ventilation. Facilities Planned for Comfort & Economy of Maintenance. Documented Transparency.